We have been in the Netherlands for almost two weeks now and the weather is typical autumn-y, with bits of sunshine but mostly rain. Last weekend it was sunny so we decided to go check out a second hand kids clothes market, close to the Haarlem central station, at Dolhuys. Here in the Netherlands getting second hand clothes for kids is a very common practice that saves parents money and the environment resources. It also saves space for the people who want to get rid of said clothes. So, we went at Dolhuys and found a few really neatly organized market stalls with little clothe hangers and boxes with different sizes written on them. For 21,5 euros in total we scored a pair of brown winter All star shoes, a penguin beanie, an amazing red sweater dress (that I am depressed doesn’t come in adult sizes), a flower print pair of trouser, two cardigans, two sweaters and two thin, long sleeved shirts. Each and every one of the things we got is in great condition and some you can’t even tell they have been worn. Now, the Chuck Taylors alone would be around 40 euros and every other item wouldn’t be less than 7 euros. The Dutch are oftentimes mocked by other nationalities for being thrifty. However, after 5 years of living in the Netherlands I can now see that they are just being wise with their money management. They won’t spend a fortune to buy a baby onesie that will be worn five times. But they will spend enough to enjoy a good vacation or to buy a good bike. They invest in things that truly bring quality to their life (That’s cultural of course. If having super expensive onesies for your baby is vital for your well being and you can afford it, by all means, go ahead). That said, I still find that just splitting the bill at the restaurant would be easier than trying to calculate how much 1/8th of the salad costs. 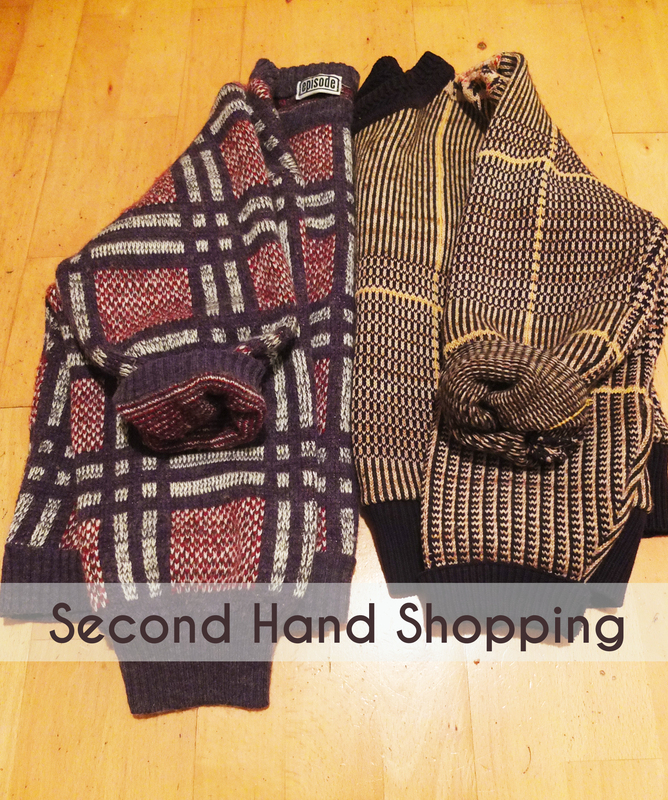 I have recently purchased two sweaters for myself from a second-hand store as well. The store is called episode and you can find it in Haarlem, Amsterdam, Utrecht, Brussels, Copenhagen and Antwerpen. As you might have noticed, these are not exactly cities with starving inhabitants. 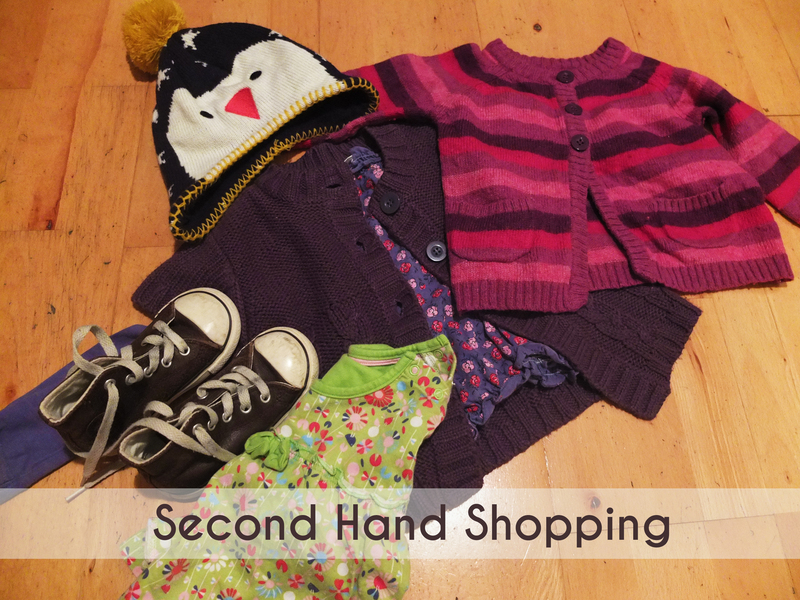 Sure enough, shopping second hand saves you money, but there are many other perks to it. I will come back to this in a sec, but first please take a look at episode’s infographic, that explains how their system works. You can find it here. You save resources. By wearing/using something that has already been used in the past, you give it a second life. By not buying a new one, you are not wasting the resources required to make this new product, be it a skirt or a coffee table. You save money. Second hand products are not necessarily cheap, especially if we are talking vintage. However, unless we talk about a rare dress that is one of a kind or the chair that Le Corbusier himself sat on to sketch, second hand items are significantly cheaper compared to new ones of the same brand/quality. You don’t wear/use what everyone else does. Sure, H&M and Zara and IKEA all offer cute things for great prices but I personally don’t particularly enjoy it when I can spot 4 more women wearing the same shirt during a one-hour walk downtown. Also, that pillow from IKEA we all have? It makes me feel like home wherever I go, but for the love of (design-)God, some originality doesn’t hurt! You can create your very personal style mixing clothes/furniture/decoration items from different decades and styles. Visiting second hand shops introduces you to a whole new world of possibilities and treasures you couldn’t even imagine. Buying second hand clothes for my baby in unhygienic. WRONG: A thorough washing at a high temperature will kill any germs that might have survived the first wash that the second hand shop does. But I want the best for my baby and used clothes are just no good. WRONG: You might actually be able to afford a much higher quality of clothes if you choose used, instead of new ones. Additionally, babies only wear their clothes for a short period of time which means they don’t suffer much wear and tear. But what will the neighbors think, if they find out I am buying second hand for my child? WRONG ON SO MANY LEVELS: First, people shouldn’t really care. Secondly, if they make a snarky remark about it, here is your great opportunity to educate them and let them know you are doing your pocket and the environment a favor, while not depriving your child of anything at all. Choose good quality materials that last. Read the labels and if there is no label on the item, ask a staff member if they know more about it. Try things on (or take measurements, if we talk about furniture). It is easy to get carried away and end up with a design piece with an amazing pattern that doesn’t really suit you (or your space) at all. Having a friend with you, to give an honest opinion, is also a good idea. Think if you really need the item. It’s a good idea to follow this rule in regular shops as well, to avoid ending up with a cluttered house. Sure, this purple sequin super mini skirt with the embroidered silver skull looks ultra-cool, but are you ever going to wear it? No, the fact that it’s so tiny that it doesn’t take up much space doesn’t justify the purchase. Go there with a budget. It’s easy to get carried away and end up with 10 crop tops, but you don’t need 10 crop tops my friend. You need a warm jacket and a pair of wellies. The winter is coming. What about you? Any second hand shops you love and would like to share with us? We’d love some suggestions!